Gateway School of Business organised an industrial visit to one of the well known industry of Sonipat i.e. Jasch. All the students were mesmerized watching the rousing campus of the industry and were also excited to see the whole process and activities happening at the production area. 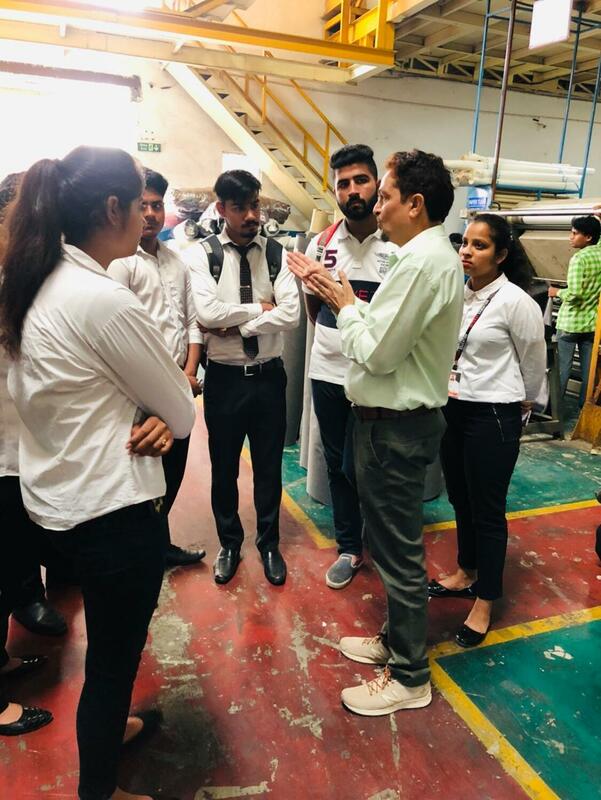 Just after the entry in the campus the Industry’s Vice President Mr. S.K Verma guided the students to the production area of Synthetic Leather. And just after that the students saw the whole testing process of the finished product. After contemplating the whole process students were directed back to the main building of the factory for query session.They gave treat to the students just after query section. After all the learning and with new experience students and teachers started moving towards the bus for departure .All left the industry with a group picture and alot of knowledge.